The news of Air India getting approval from Saudi Arabia to use its airspace to fly to Israel was source-based. 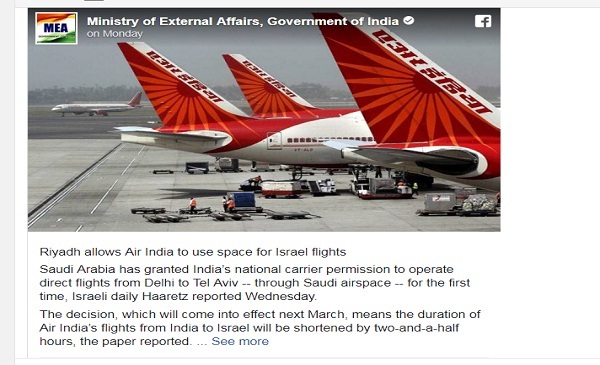 India’s Ministry of External Affairs, in a Facebook post on Monday citing Israeli daily Haaretz, said that Saudi Arabia had given Air India permission to use the country’s airspace for flights from New Delhi to Tel Aviv; news that the Kingdom’s aviation authority denied while speaking to Reuters. 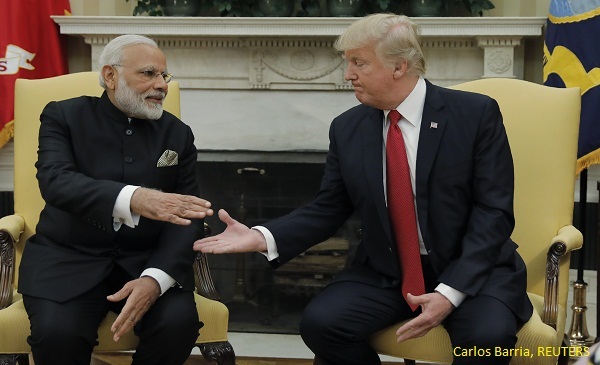 The post which attributed a news article said the decision which would come into effect in March would cut travel time from India to Israel by two-and-a-half hours. Click here to view the archived Facebook post. 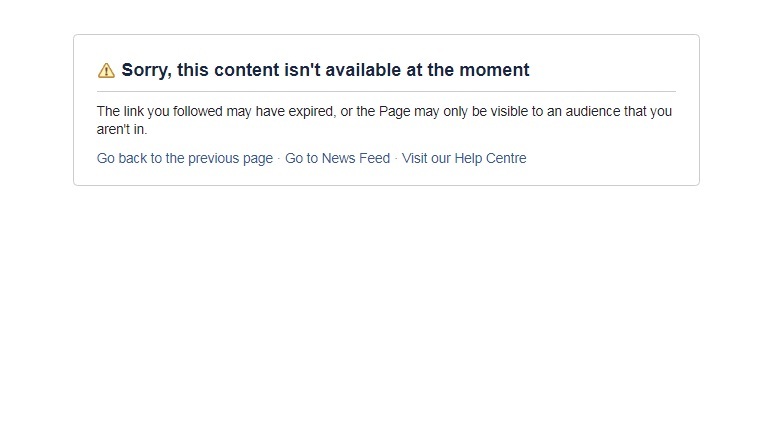 Despite several people commenting on the post calling it ‘fake’ and that Saudi Arabia had denied it, the ministry did not delete it until Wednesday. If granted, the lifting of a 70-year old airspace ban, would have been historic for all three countries as it would signify a thaw between Saudi Arabia and Israel and stronger diplomatic ties between India and Israel. BOOM wrote to the Ministry of External Affairs and the General Authority of Civil Aviation of Saudi Arabia, on Tuesday, but did not receive a reply from either authority. The Facebook post was deleted after BOOM replied to a query saying the news of Air India receiving the approval was source-based and that Saudi’s aviation authority had denied it. Earlier in February, several news reports said Air India had sought permission to fly through Saudi airspace which was so far off-limits to Israel-bound commercial flights. BOOM contacted the national carrier and confirmed the same. “We have requested for the route New Delhi-Tel Aviv-New Delhi and are awaiting regulatory approvals,” Sameek Bhattacharya – Senior AGM, Corporate Communications at Air India, told BOOM. “We intend to start flying once the DGCA approvals are in place,” Bhattacharya said. 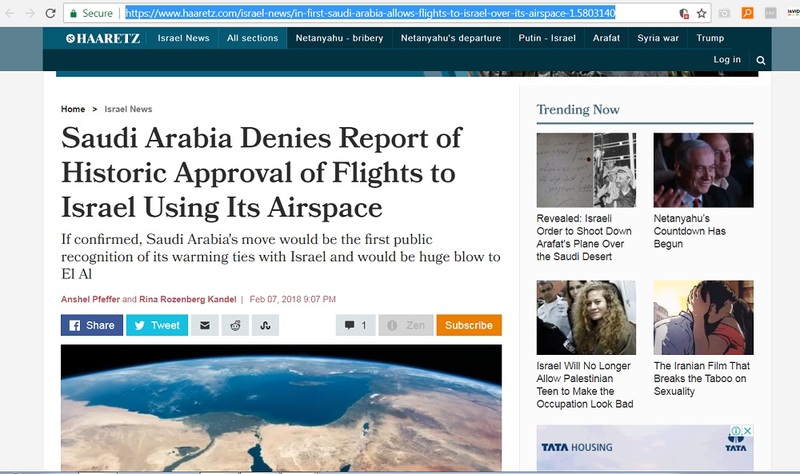 On February 7, Israeli daily Haaretz wrote a story that Saudi Arabia had granted Air India approval to operate direct flights from Delhi to Tel Aviv citing “sources in the Israeli flight industry”. 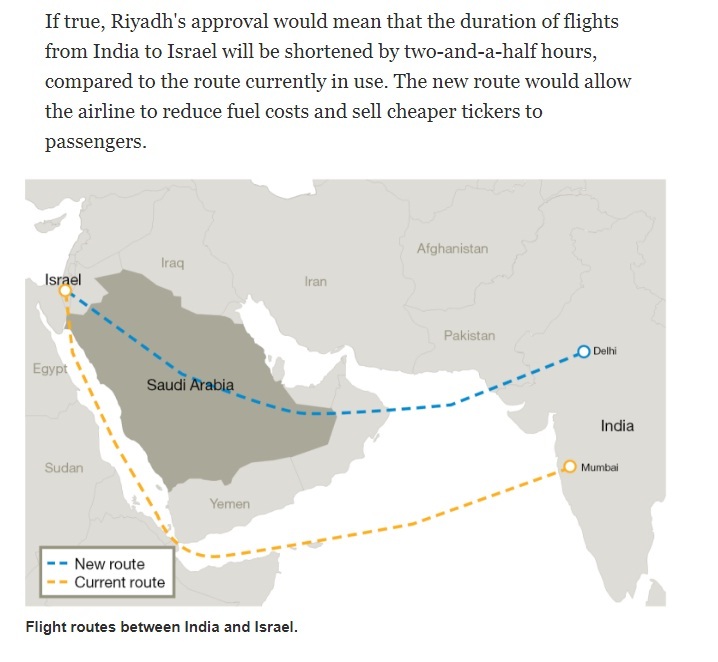 The site reported how a route through Saudi airspace would shorten travel time between India to Israel. 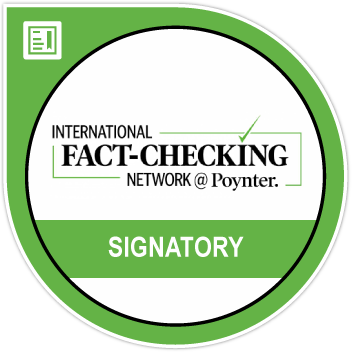 The news was picked up by Indian and international news agencies. However, Saudi’s General Authority of Civil Aviation told Reuters that the agency had not granted any permission to Air India. Haaretz later updated its story with the denial though the URL shows the previous headline of the story. However, MEA’s Facebook page shared a third-party link which still had the original story.